This article is one of a series of interviews with graduate entrepreneurs. 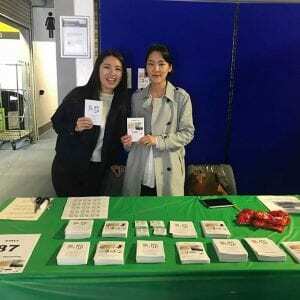 beepurple is the university’s entrepreneurship support service. 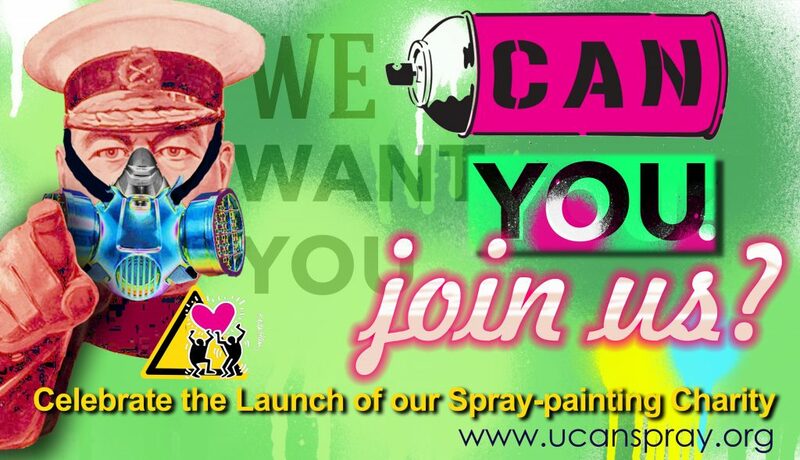 U CAN Spray CIO is the UK’s first dedicated spray-painting charity. 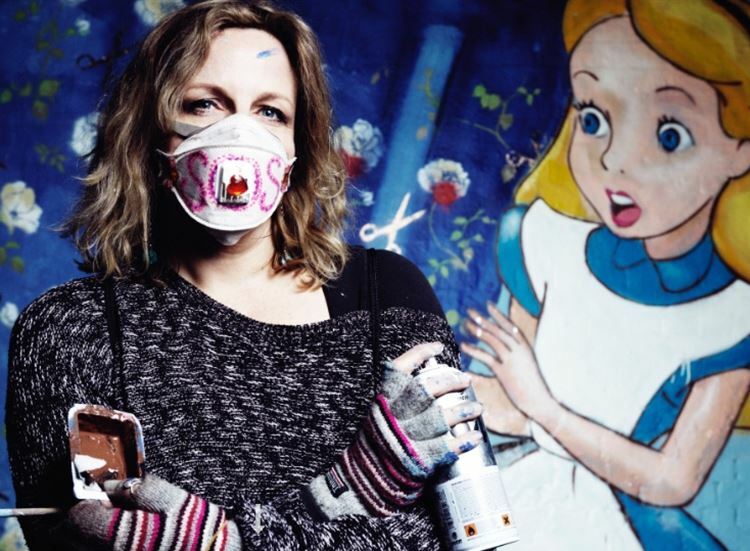 Through unique spray-painting workshops and public artwork projects, we inspire and engage disengaged people from all backgrounds into free cultural and therapeutic experiences through spray-painting. Our beneficiaries are anyone who is disengaged from society for reasons beyond their control. We interact with the general public through festivals and events in order to make an immersive art experience, where paying customers help support others less fortunate than themselves. A bit like Robin Hood. After leaving the corporate world, I found myself in a situation where suddenly my finances were more than limited. Yet I wanted to take my children to festivals so they could experience the immersive culture and have fun. I ended up becoming a crew member in order to gain access to festivals free of charge. At these festivals I could see a gap in the market for older children and young people. So I started my first spray-painting idea about 5 years ago, its been evolving ever since! Wherever we go, we hear, “WOW that is SUCH a cool idea!” You have to see it to believe it, but I think it’s due to the fact that children are able to safely experiment with basically a pretty dangerous medium (pressurised paint) and show they can handle it responsibly. This activity draws even the most disengaged individual into art making, without any pressure of the final product. Spray-painting is such an immediate artform and we are making it inclusive and accessible to all. Its simply inspirational! I have a few social media accounts. I should probably blog more and write more press releases though. We have just sent our first newsletter out and if anyone would like a copy of it its here: ⚡ Introducing the UK’s first Spray Painting Charity! ⚡ If you want to join our mailing list. After winning the Brightspark Award from Brighton Students’ Union I developed a cool branding and the standard flyer business cards etc. When we go to festivals we promote ourselves there so its often word of mouth too. We sign all our street art interventions too. What has been your biggest business challenge and how have you overcome it? When we aren’t on-site or on a project (ie when I am alone working from home) I think the biggest business challenge is loneliness as the sole person with “the vision” steering the ship, you can get stuck on issues when you don’t have anyone to bounce your ideas off. This is true with most start-ups when you don’t have a business partner. So getting the right training, having mentors and support was the best thing I could do. 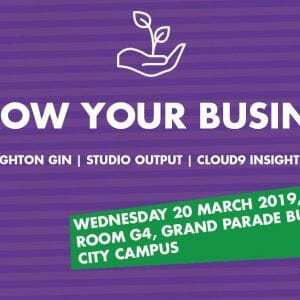 Gaining a place at The School for Social Entrepreneurs really helped my crystallise the legal status of my business start-up. Which in turn gives me a clear direction. To what do you attribute your business success? Experience and a world vision, having been lucky enough to design and make product and creative campaigns all over the world – I think I understand people and culture pretty well as a result. Spotting a trend before it happens. In contrast, having some really bad things happen to me has contributed to my success. This might sound strange but life’s challenges (of which I’ve had some quite extreme ones occur) have ultimately been my GIFTS! It all crystallised for me when I finished my second year of my Inclusive Arts MA. I’ve finally learned that “vulnerability is the birthplace of creativity.” Also you have to truly understand what bad “feels like” is in order to create a solution to it. The next thing I’d love to achieve is a permanent arts hub for the Charity which benefits the whole Brighton Community. A really inclusive, vibrant and unique artspace which is much needed! What one piece of advice would you offer to someone starting up? Don’t do it alone even if you want to be the boss you always need support and ideas. Don’t be afraid to pay people for help and expect the best! Don’t be afraid to ask someone you admire to give you advice or even better…ask them to be your mentor. Get a mentor who you are really inspired by and meet them four times a year (but don’t expect them to do the work!). What three skills are the most important for an entrepreneur to develop? Any tools, resources or books you recommend? Theres an app for everything these days – even for the boring stuff I don’t like to do, like accounting. Apps such as Expensify make book keeping easier. It depends what your weakness is. If you know your weak points you can find help for it via an app or a real person!